Sweet, sour, sticky, superb. You need to cook this! This recipe started out as a case of there being food in the house that needed cooking. 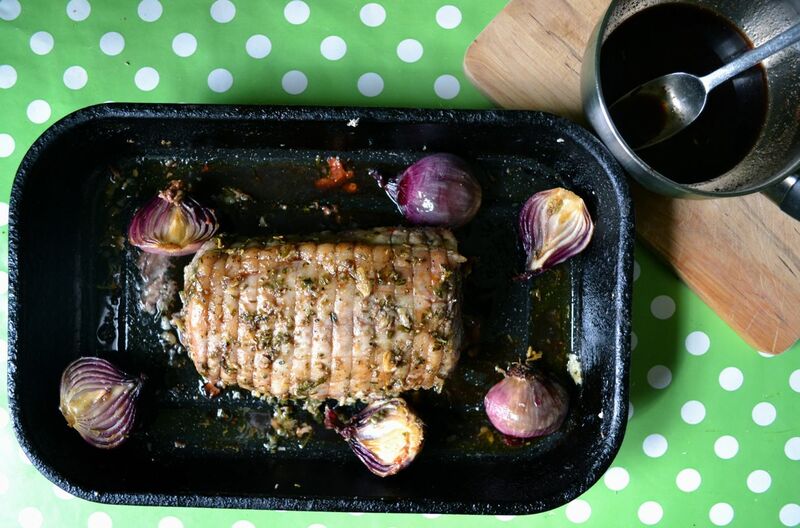 A lovely big loin of pork that was hanging around the fridge waiting to be made into something delicious; some red onions which had to be cooked before they went bad; and a third of a bottle of balsamic vinegar that had been lurking in the cupboard for some time. In many ways, these are my favourite recipes. Not planned, just played by ear. Rooting through the cupboards you start to imagine what you can make with the goodies that you find! 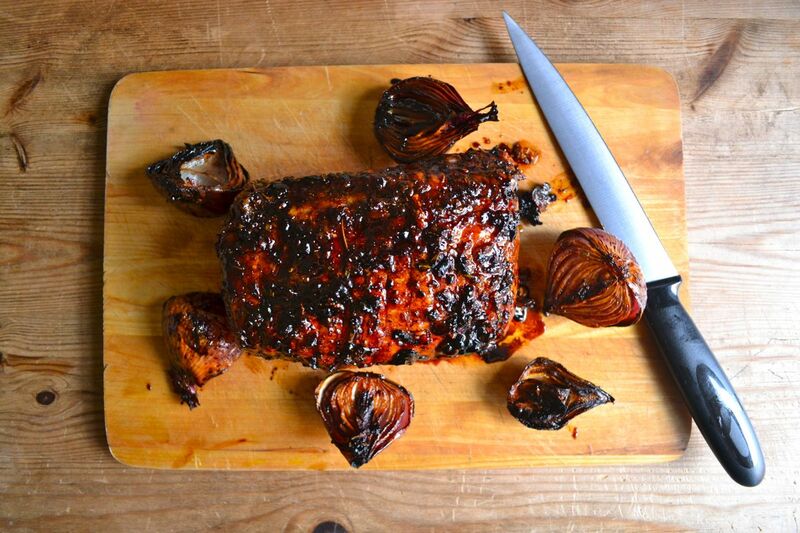 The pork is slow roasted for 4 hours, making it tender and delicious. 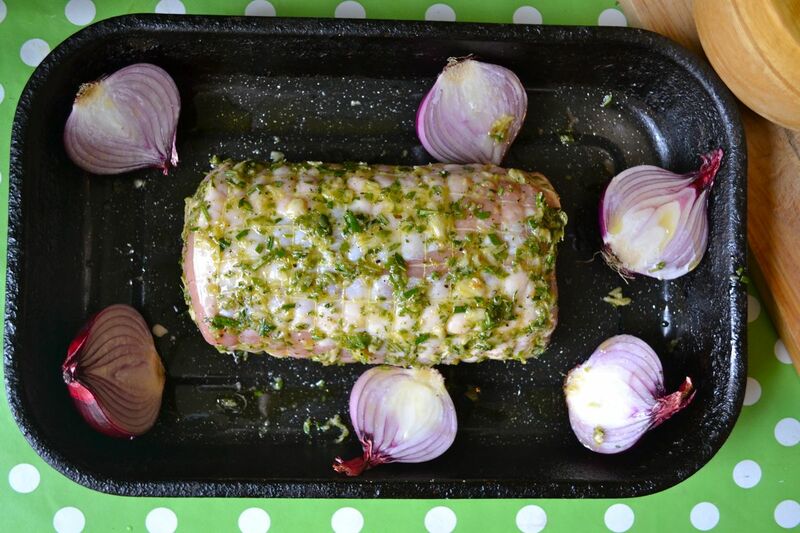 Before roasting, the pork is rubbed with a paste made with garlic and some lovely herbs. These flavours permeate the meat as it cooks, making it seriously tasty. The glaze makes the outside sweet, zingy and sticky. As I write this I’m reminded of an episode of a Nigel Slater show where he experimented with different flavour combinations, one of which was sweet and sour. 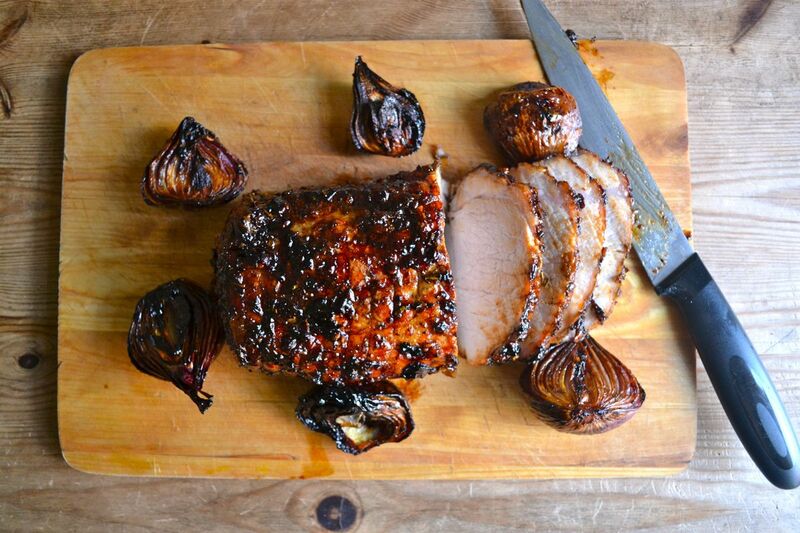 Pork is definitely the meat that goes best with sweet and sour flavours. The meat itself is sweet by nature, so when paired with the sour notes of a good balsamic vinegar, the result is totally delicious! Note: The sauce is completely optional. 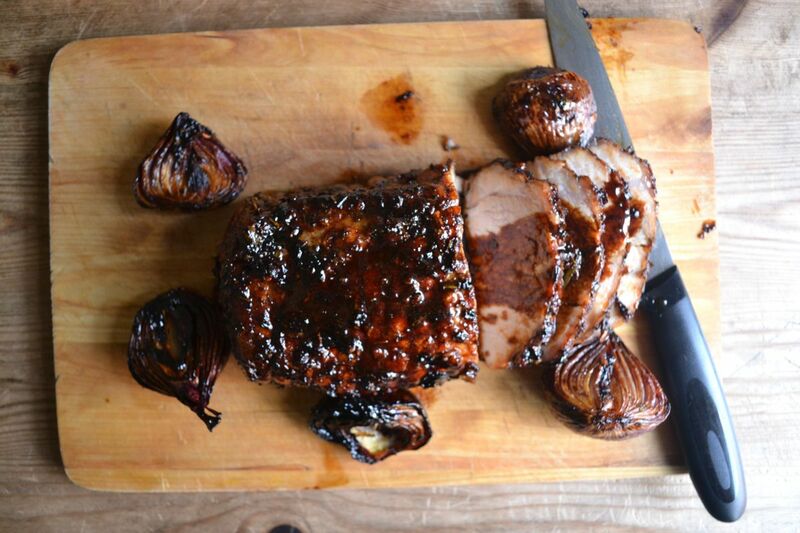 The roast is more than moist enough, but the thick sauce, black like tar, really is a delicious addition. Preheat the oven to 160℃/320℉/gas mark 3. 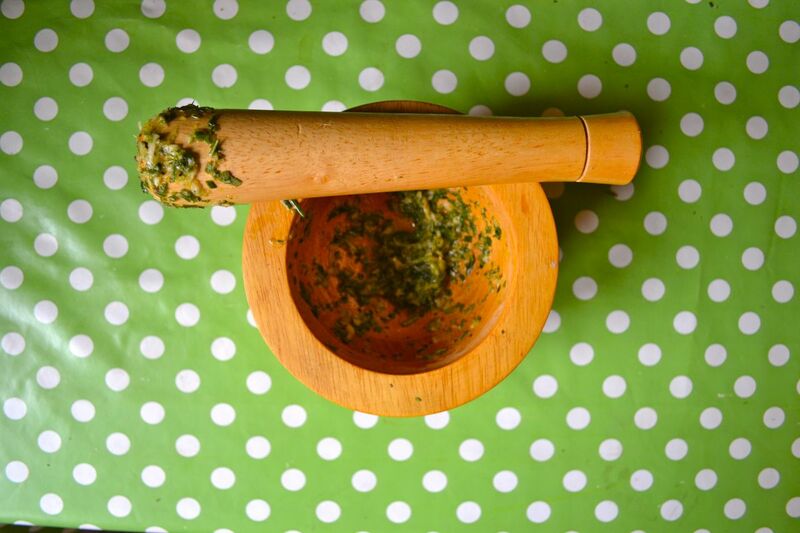 In a pestle and mortar, bash up the garlic and herbs with some salt, pepper and some olive oil to form a coarse paste. 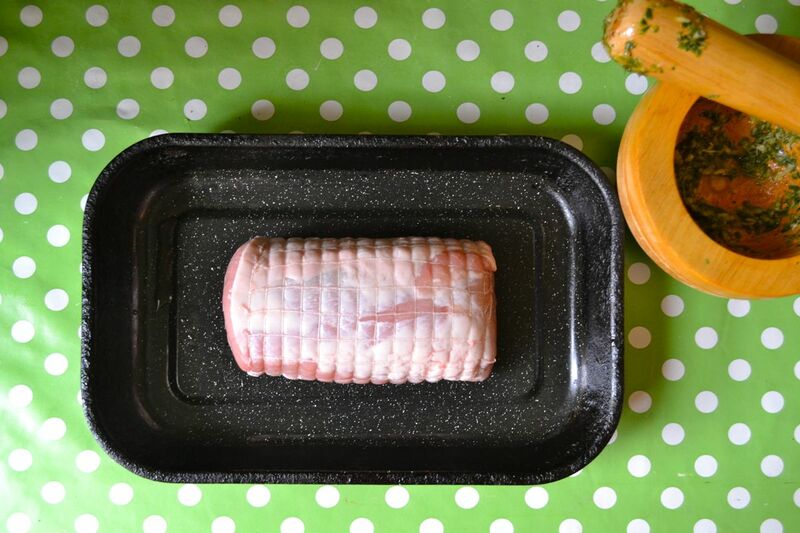 Place the pork in a deep roasting tray. Add the onions then rub the paste all over the pork and drizzle the meat and onions with some extra olive oil. Season the onions. Place in the oven for about 3 1/2 hours. 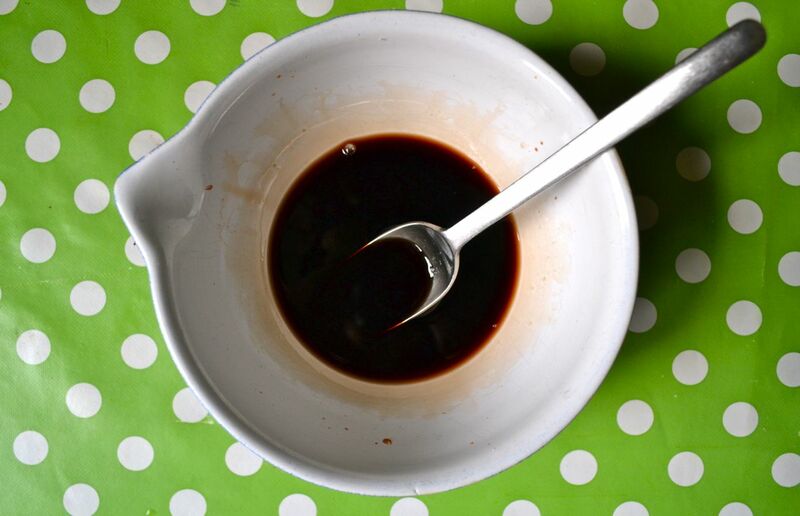 Meanwhile, make the glaze by combining the vinegar, honey and water. 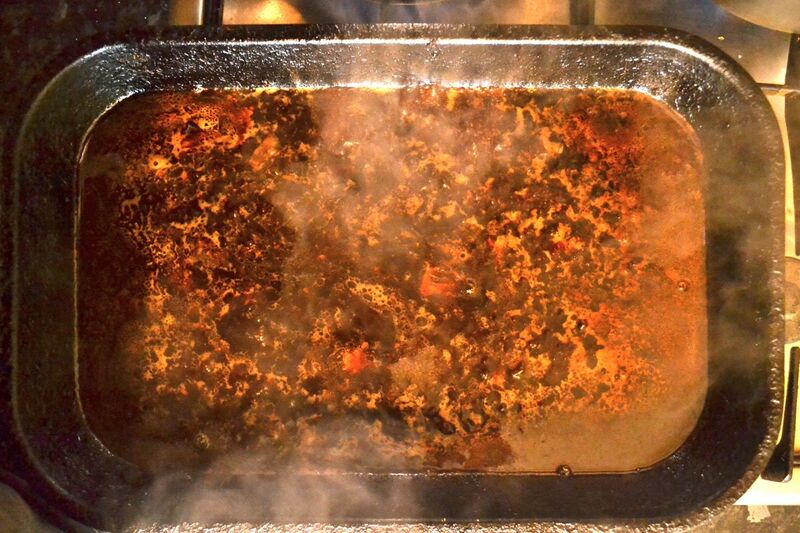 Place this mixture in a saucepan over a high heat and allow to reduce and thicken for about 10 minutes. Take the pork out and turn the oven up to 220℃/425℉/gas mark7. Cut off any string and pour over half of the glaze. Put the pork back in the oven for 15 minutes, after which time pour over the remainder of the glaze. Put the pork back in for another 15 minutes. When the pork is ready, take it out of the pan and place somewhere to rest for at least 15 minutes before getting stuck in. Serve with rice or new potatoes and lovely summer greens like cabbage and chard. Place the roasting tray on the hob over a medium heat. 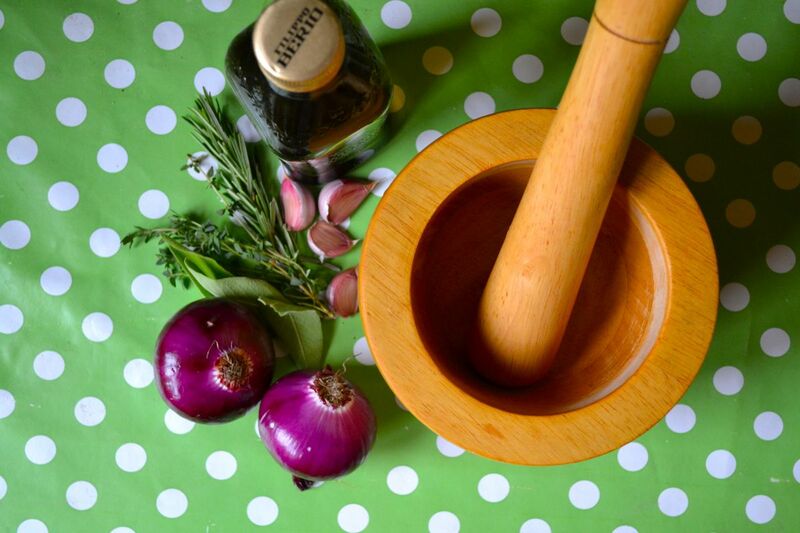 Add in the wine, the stock and the herbs. 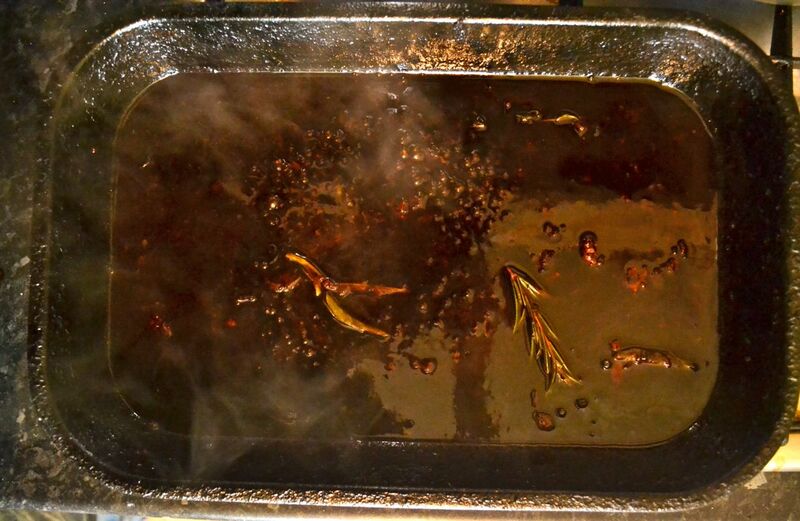 Allow to reduce for about 15 minutes (while the meat is resting) and it should be black and glossy. Thanks! Very easy recipe but so delicious, and looks very impressive. Wow man I ‘m a producer of Balsamic Vinegar and this is really impressive. Thanks man, very kind of you! And thanks for getting in touch on twitter. I really like the website too – really nice design! Thanks! Glad you like the site! Plenty more content to come, I’m always cooking something new!